This Kroger customer feedback survey report will detail all of the requirements and steps to take to complete the Kroger survey. Once you get to know the steps of this process, you’ll be able to enter the sweepstakes and earn a chance to win one of 101 prizes during every month of the Kroger sweepstakes period. We’ll guide you through everything you need to know and include any helpful links, facts, and information relevant to the Kroger survey sweepstakes. You must be a legal resident of the U.S. Every state except for Florida, Rhode Island, and New York is eligible. Your family members cannot work for Kroger or any of its affiliates and neither can you. To complete the Kroger survey, you’ll need a receipt that is no older than seven days. Upon completion of the Kroger customer service survey, you’ll be offered the chance to claim an entry into the sweepstakes drawing for a grand prize of a $5,000 Kroger gift card. If the big prize misses you, there’s still a shot to a lesser one of a $100 Kroger gift card. One grand prize winner will be selected for each month of the Kroger sweepstakes period. In addition, 100 winners of the $100 Kroger gift card will also be selected each month. If you have a customer loyalty card and an account with Kroger, you’ll be offered 50 free Kroger fuel points as a thank-you for taking the survey. On top of that, customer feedback surveys like this one are an easy way to improve the guest experience at the stores you shop at by providing your honest opinions. Visit the Kroger site for surveys to begin. If you would prefer to take the survey in Spanish, select the option below the start button. Answer several questions about your experience at Kroger. You’ll be asked about customer service, the appearance of the store, what departments you visited, how satisfied you were with the products available, and how likely you will be to recommend Kroger to a friend or family member. Near the end of the survey, you’ll have a chance to provide Kroger with more details about your visit if you choose to. Fill out some personal information to register for your Kroger survey sweepstakes entry. You’ll be asked for your name, address, phone number, and email address. If you want to redeem your free Kroger fuel points, you’ll need to enter your customer loyalty card’s ID number as well. 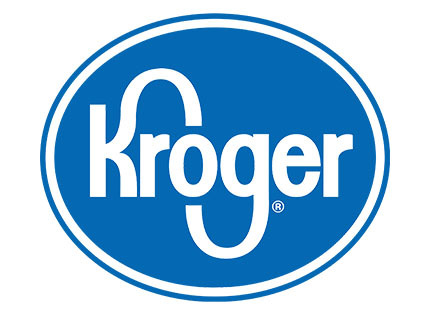 The company keeps an updated Kroger list of survey sweepstakes winners online. You may enter the Kroger survey sweepstakes more than once. However, mind you that you’ll need a receipt for each entry. If you are selected as a sweepstakes winner, you’ll be contacted by telephone or email. Therefore, be sure that the information you enter during the survey is correct. Otherwise, Kroger won’t be able to reach you. Under these circumstances, the company has no other choice but to select another candidate instead. Get more information about how the Kroger survey sweepstakes works by reading through their official Kroger sweepstakes rules. To contact Kroger’s customer service team, email them through their Kroger support form offered on their website. You can also reach Kroger by phone at 1-800-576-4377 between the hours of 8:00AM-12:00AM EST Monday-Friday and 8:00AM-9:30PM on the weekends. The company also responds in a reasonable amount of time through its Kroger Facebook page. All in all, Kroger retail company made it simple for its customers to register their feedback with a department that can really make a change to the benefit of store visitors and the company itself. In exchange, Kroger will reward the time you spend on their survey accordingly. Tell us in the comments how your Kroger survey went!